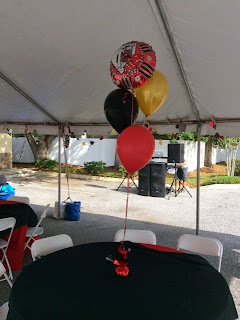 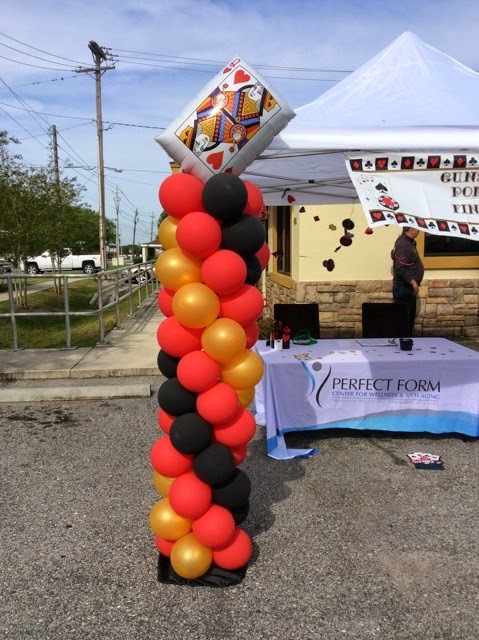 Poker Themed Balloon decor creates a fun environment for this Porker Run Celebration! 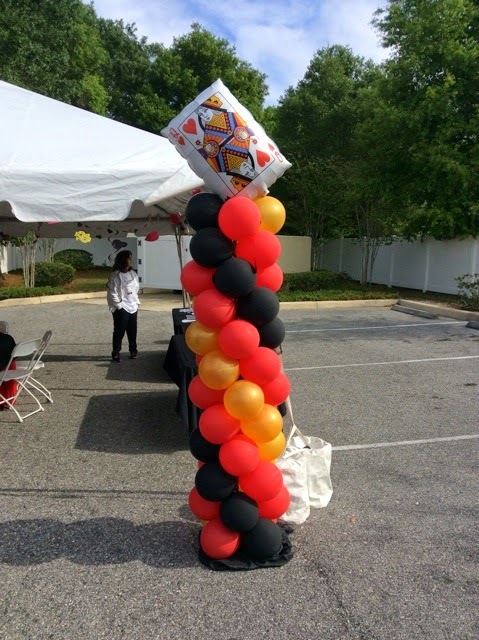 2, Garland columns with Giant Card foil toppers are perfect for any Poker or Casino themed event. Call Party People, 1-800-752-3650 ext 2 to create custom decor for your special event in Central Florida!